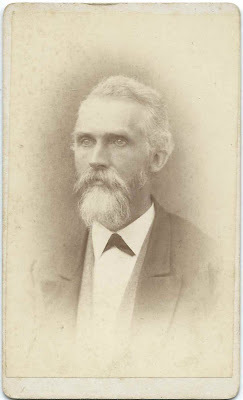 Carte de Visite of an older man identified on the reverse as Joseph Carr of Malden, Massachusetts. 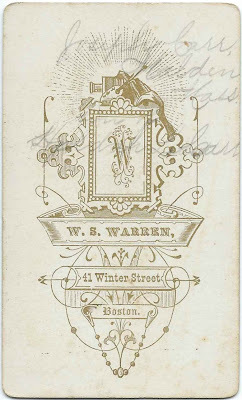 The photograph was taken at the studio of W. S. Warren, 41 Winter Street, Boston, Massachusetts. The identification notes that Joseph was the son of Hyldah L. Carr. 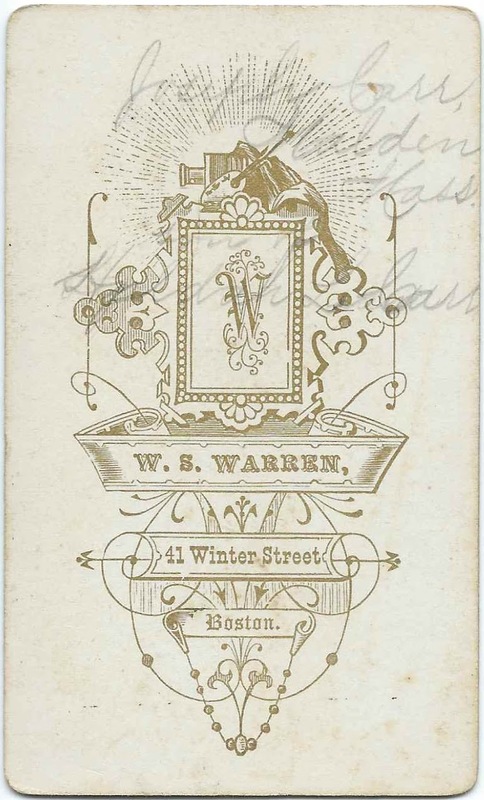 I found a death record for a Joseph Carr, who died Boston, Massachusetts, on February 21, 1902. The record notes that Joseph was born at Cabot, Vermont, about 1825, the son of David Carr and Huldah (Leavitt) Carr. This Joseph was buried at Everett, Massachusetts, adjacent to Malden. On December 31, 1854 at Boston, Massachusetts, Joseph married Catherine S. Graves, daughter of Joseph Graves. Catherine was born at Kittery, Maine, about 1822. Joseph and Catherine had a least one child, a daughter born about 1856. Catherine died at Boston, Massachusetts, on August 3, 1882. If you have corrections and/or additions to the information above, or if you feel that Joseph Carr was another person, please leave a comment or contact me directly.